Congratulations to Elizabeth (Liz) Moniz, Education/Outreach Director at the Lloyd Center for the Environment, for her recent receipt of the Massachusetts Association of Science Teachers Russell P. Stanhope Distinguished Friend of Science Award! The Board of Directors of the Massachusetts Association of Science Teachers (MAST) selected Ms. Moniz as the 2017 recipient of the Russell P. Stanhope Distinguished Friend of Science Award. This annual award, first given in 2004, recognizes an individual who has made outstanding contributions to science education in the Commonwealth of Massachusetts. Russell P. Stanhope, former MAST President, believed that we are all better together than separate. In his honor, MAST honors a person who has made a substantial impact in science education and building connections between educators of all types and in all areas of science in the Commonwealth of Massachusetts. 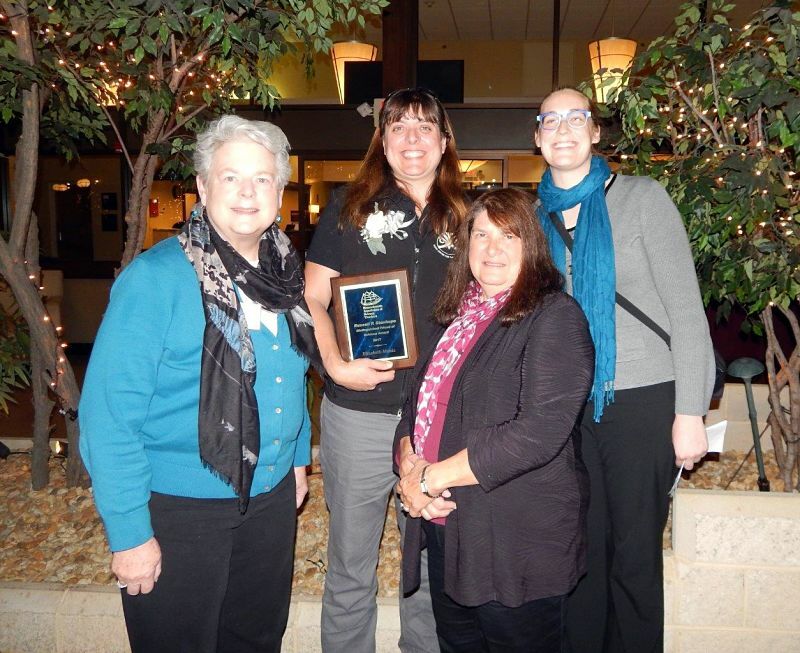 The award was presented to Ms. Moniz at the MAST annual banquet on November 2nd at the Boxboro Regency. Liz is the Education/Outreach Director for the Lloyd Center, where she manages both on and off-site programs that reach up to 15,000 students annually. She focuses on Environmental Science, Geology, Biology, and Marine Science. Her work with teachers has included developing and implementing annual summer professional development institutes in the Southeast region of Massachusetts, customized in-school workshops, and a two-day workshop focused on alternative energy and sustainability (through the Museum Institute for Teaching Science – MITS) . She is always ready and willing to act as a resource to those who want to know more – whether it be related to alternative energy or ornithology. She is generous with her time and assists teachers who need help implementing energy-related resources in their classrooms. 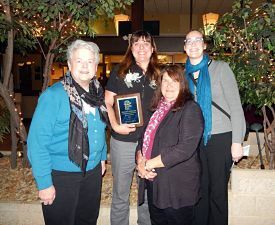 In addition to her work with students and educators, Liz has developed many of the Lloyd Center’s outreach programs including a series of nature canoe trips for women. She is a wonderful collaborator, willing to work effectively with others to make interactions with teachers, students and other informal educators a great experience for all. To learn more about Liz CLICK HERE.